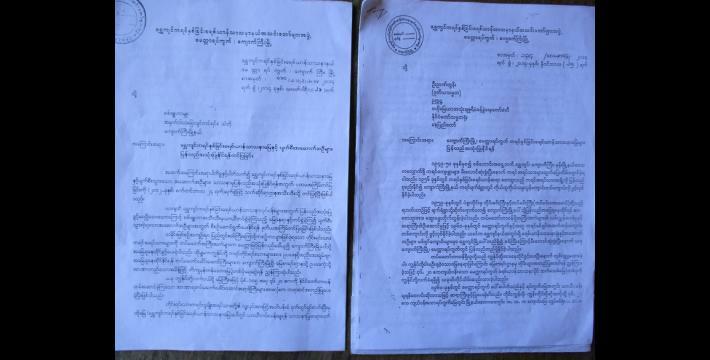 The Complaint Letter below was written by the Shwegyin Karen Baptist Association, a missionary association from Kyaukkyi Town, Kyaukkyi Township, Nyaunglebin District, and sent to the chairman of the Burma/Myanmar government Kyaukkyi Township Land Management Committee, on November 5th 2015. 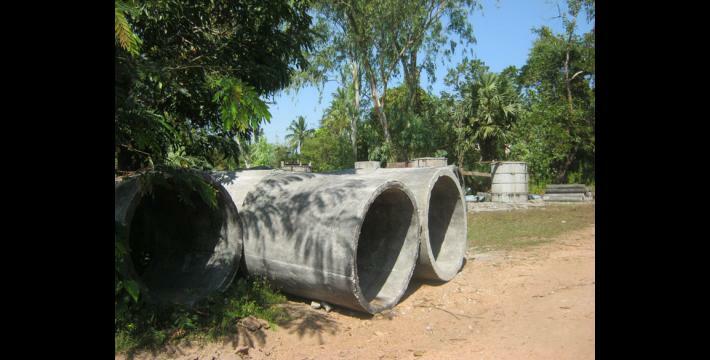 The letter concerns the Burma/Myanmar government’s construction of buildings on a Christian church compound. According to the letter, the compound has belonged to the church for 55 years. 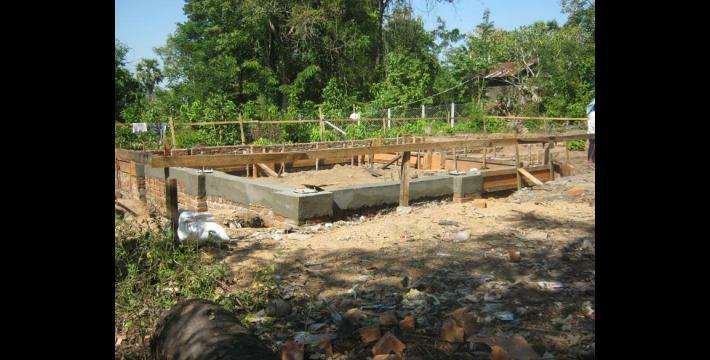 The Burma/Myanmar government has begun construction of a Cooperative Department building and plans to construct a Department of Rural Development building and commission offices within the church compound. This has been done without prior consultation with the Shwegyin Karen Baptist Association. 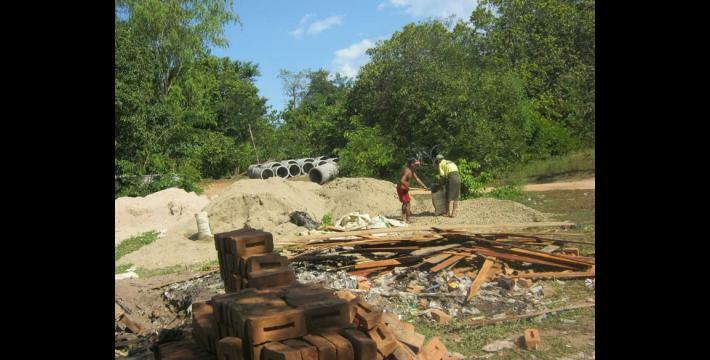 The Shwegyin Karen Baptist Association reported to KHRG that they submitted the complaint letter to Burma/Myanmar government officials, members of the KNU, and other political parties, but they have not seen any action taken in response; instead the construction has continued. This report also includes details of earlier letters sent to authorities by the Shwegyin Karen Baptist Association in an attempt to have the church compound officially measured and recorded, to prevent the land from being confiscated. Subject: Objection to the construction of buildings on missionary land. Shwegyin Karen Baptist Association is a religious organisation that has existed for 55 years, from generation to generation. Starting from 1960, because of the situation in the area, the Tatmadaw asked for permission to use the Shwegyin Karen Baptist Association’s missionary land, and gave it the name Byu Har Kone [military operation land]. There are historical records of the respectful gratitude given [to the Shwegyin Karen Baptist Association] by the operations commanders who used the missionary land, for their being granted permission to use it. 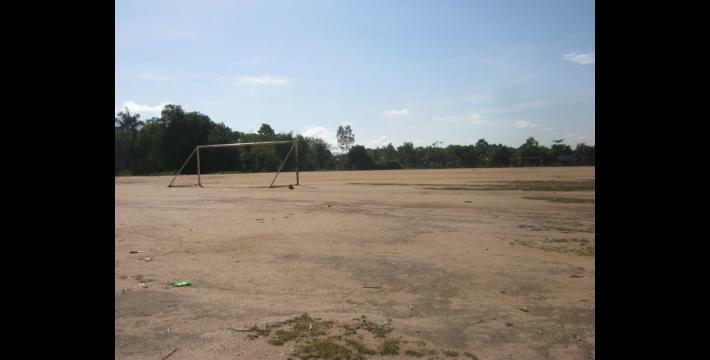 There are [recorded] examples that previous, successive [Burma/Myanmar] governments asked for permission to build public buildings that were necessary for the area on the missionary land, and the Missionary Association also allowed this, willingly. 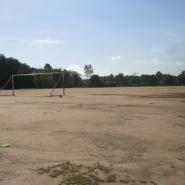 (For example: a high school, electricity department office, commercial warehouse, and township stadium [were built]). Shwegyin Karen Baptist Association, Kyaukkyi [Town], has to do projects that are related to missionary work [with this land]. 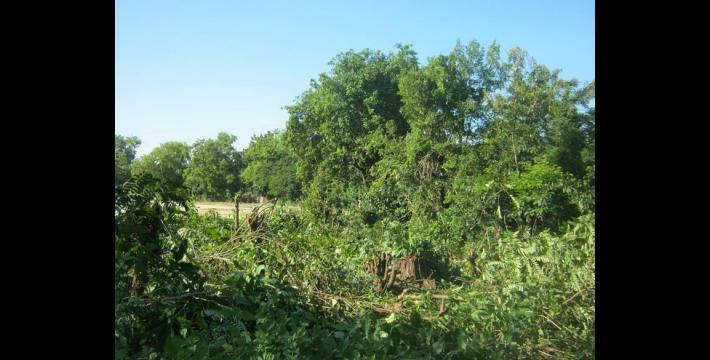 Currently, there are plans to build a Department of Rural Development building, commission offices, and construction of a Cooperative Department building has started. For locating the lands, as well constructing the buildings, there were no prior discussions or negotiations with the Missionary Association, so we would like to request that the project’s construction stop, and state that we object to the construction. “Regarding our church compound issue, we have been sending complaints to the relevant government departments and they only responded back to us after we sent the third complaint letter to Naypyidaw. Then they [Burma/Myanmar government officials in Naypyidaw] directed the Kyaukkyi Township government officials in charge to meet with us and find out more information relating to our land. After that, they [Kyaukkyi Township government officials] called a meeting with some members of the church committee and they were asking questions and taking notes. They said they need to report back to the [Burma/Myanmar] government immediately and they asked us to wait for a response. They [Kyaukkyi Township government officials] met with and questioned us in January 2015, and they submitted it [the meeting report] within the month. 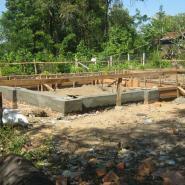 While we were waiting [for a response], we saw they started construction of the buildings. Because of this, we went and tried to meet with the township general administrator, but he avoided us and didn’t meet with us. His junior staff told us that they had sent it [the meeting report] already, but no answer had come back to them yet. For this reason, we have to strive to keep the land that we have left. 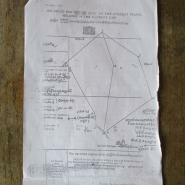 They also said that our map [of the church compound] is not legal and we do not have a land grant [title]. 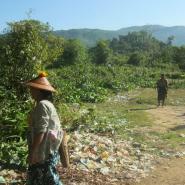 In the Kyaukkyi area, because the Burma/Myanmar government marked the area as a black area, people do not have land grants. But for them, when they enter the area they prepare all the necessary land grants for themselves. 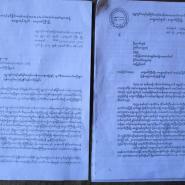 Regarding this land issue, we sent copies [of the letter] to parties and organisations that we believe can take action and solve our problem, such as the USDP [Union Solidarity and Development Party], the NLD [National League for Democracy], the KPP [Karen People’s Party], the KNU [Karen National Union] and district and township officials many times, but we have not seen that any action has been taken. Now [as Christians] we pray, and we now know of the KHRG organisation, which we never heard of before, and which might be an opportunity and the arrangement [of God] for us. We fully believe that even though it is a small organisation, their voice and action might speak louder and better than other organisations that we think highly of. 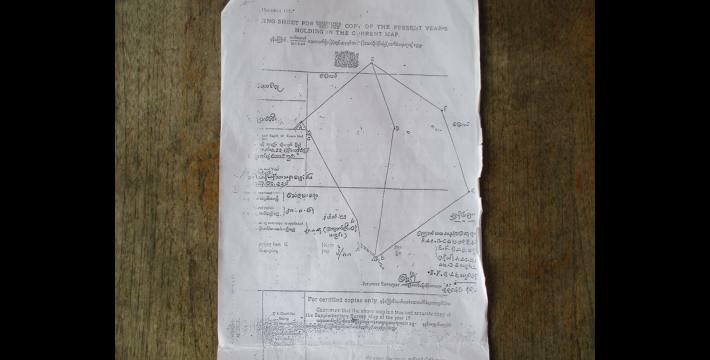 Rearrange the measure [officially re-measure and record] the Karen people’s Christian missionary land in Myit Ta section, as it was before [to its original measurements]. Clear all of the undetonated explosive devices from the area of the temporary army base that was granted temporary use of the land in the past. This Complaint Letter was submitted to KHRG in November 2015 and is presented here, translated into English exactly as originally written, save for minor edits for clarity and security. 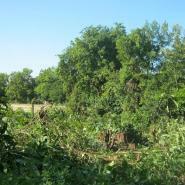 It was received along with one Situation Update and 88 photographs. According to historical church records, the missionary land, or church compound, was first officially measured and recorded by the Burma/Myanmar government Bago Region (then called Pegu Division) headquarters commander in 1959. 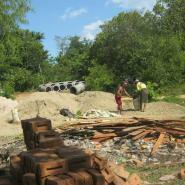 The total size of the land is 46.2 acres and it was donated to the church by late schoolteacher, U Saw Htoo. Rev. Doctor Wah Wah Din is both general secretary of the Shwegyin Karen Baptist Association and chairperson of the Association’s Land Management Committee. 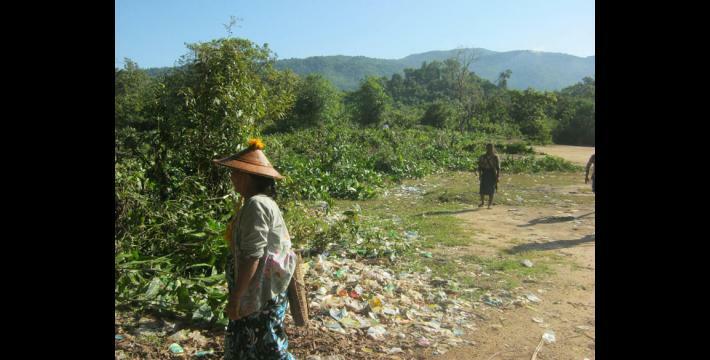 According to the member of the Shwegyin Karen Baptist Association who spoke with a KHRG Community Member, the construction began on November 5th 2015 and is being led by Burma/Myanmar government Kyaukkyi Township administrator U Tin Myo. 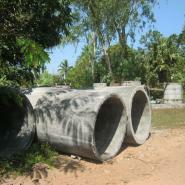 The company carrying out the construction is the Myit Zi Ma Thit Sa Company.